How to make a field a required field? To make a field required, select the field within the form builder and then click the properties (gear icon) to the right of the selected field. 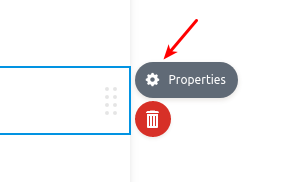 In the properties sidebar that opens up, scroll down and set the option to toggle required. Set it to ON and the field will have a red asterisk showing it is required. Users will then not be able to submit the form unless the required field is filled.